All this trying stuff out is very important and useful, but if I don’t get moving on the main model there isn’t going to be one, so I’ve been trying to get myself focused. The arrival of this package is another step in that direction. For people with a normal life I should explain that this is a ‘simulator’ controller, which is designed to operate like a real train: when you turn the electricity on it starts the train gently, accelerates to the set speed, and then slows it down with momentum like a real train. Of course you can make it look like a real train to other people, but this way you have to learn how to drive the train into the platform or stop at signals etc, which is obviously much cooler. 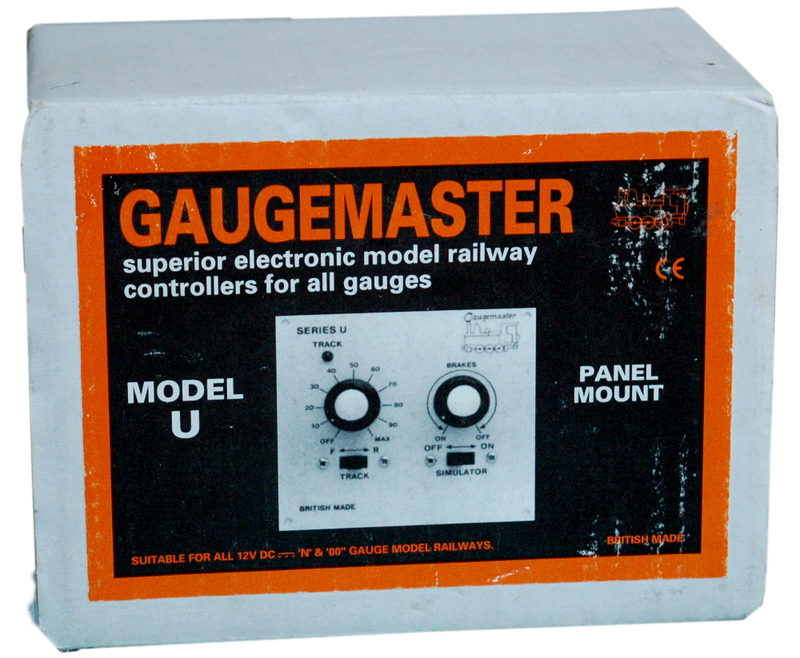 I’ve liked simulator controllers ever since I saw one as a child, so much, in fact that I saved my pocket money for a Gaugemaster unit (“With Brake”) in the 1990’s which turned out to be everything I’d hoped for, just not in combination with the ‘pancake’ motors in models at the time. Frequently the train would sulk in the platform for several seconds then lurch forward at high speed and, because mine was rather short model, crash into the buffers about three seconds later. On at least one occasion the train went clean off the end in a dramatic recreation of the Montparnasse derailment. I also managed to find the least ergonomic position on the model I was building and give myself a repetitive strain injury using it, although I notice the company has since changed designs so it may not have just been me. Twenty years later and modern motors have flywheels and weight, and the ability to stop, go, and pull the skin off’f a rice pudding. When I got the chance to buy a used panel mounted unit for a very low price I sent an offer before the owner changed their mind, and this week the unit arrived. Now I need to find a transformer and build a case, which shouldn’t be difficult, and may even get me back into making things out of wood again. The seller had brought the controller with him on holiday to northern Germany and packaged it in a newspaper at his hotel, so I even had an instructive five minutes reading the Bad Doberan Advertiser. I am now up to date on the goings on of the East Coast Sailing club and the summer theatre scene on the Baltic coast.